Create a Prayer Tree in your home or classroom for Lent. 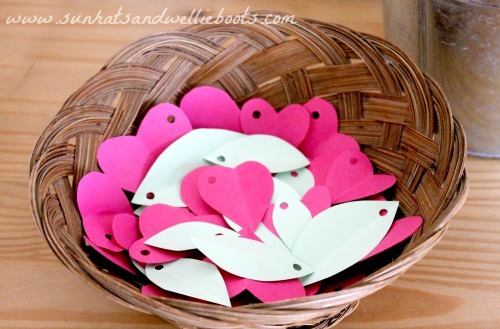 They're simple to make & offer children & adults a space to creatively pray together. To create a Prayer Tree add a tree branch to a container large enough to support it, we used an aluminium bucket as a base for ours. To hold the branch in place fill the container with a number of pebbles until the branch stands firm. 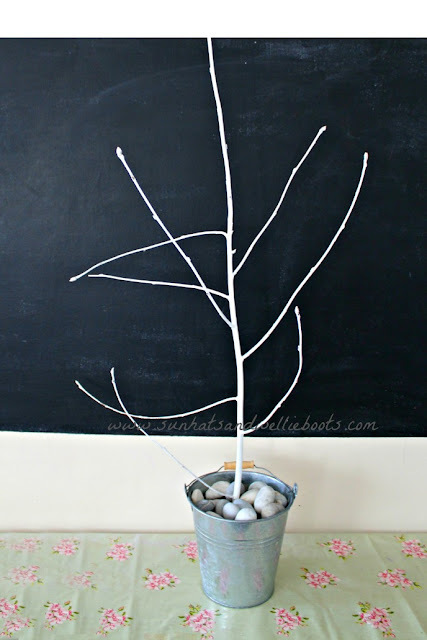 We painted our tree with acrylic paint as we were using the branch for another project, but with previous prayer trees we've used plain branches. We also added a small set of battery fairy lights so we could light our tree in the evenings, but this again is optional. 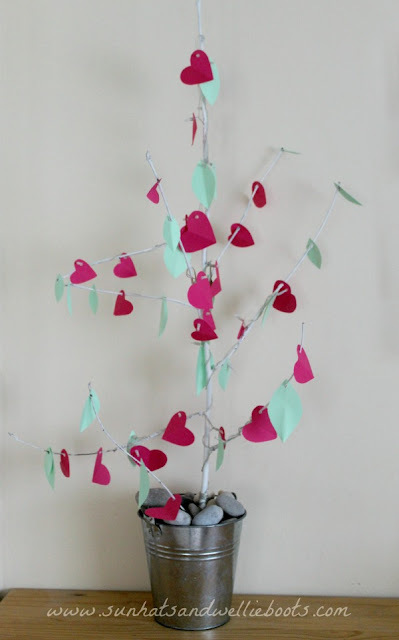 As Valentine's Day falls in Lent we thought we'd add some heart shaped cards to our tree along with some paper leaves to write/draw our prayers on. 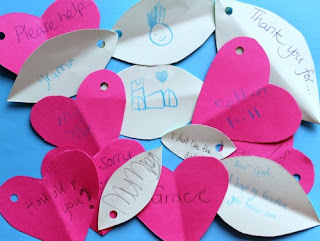 We cut out several of these & then hole punched a corner so we could easily slide the prayers onto the tree. We explained that this prayer space could be used freely any time during the day, & that each of us could write/draw any number of prayers, feelings, or questions for God. There was no limit on the number of prayers we could write, we could always add more paper leaves if needed. We talked about different types of prayer & all the things we could say to God; thank you, sorry, asking for help, sharing our worries, praying for others etc. Once we'd finished our prayers we could thread them onto the prayer tree & in doing so we'd be handing each one over to God. It's amazing to see just how many children & adults interact with a prayer tree like this, & how often they use it. It's a real privilege to see what children chose to share & their offerings often display a deeper understanding of spirituality than many adults would anticipate. 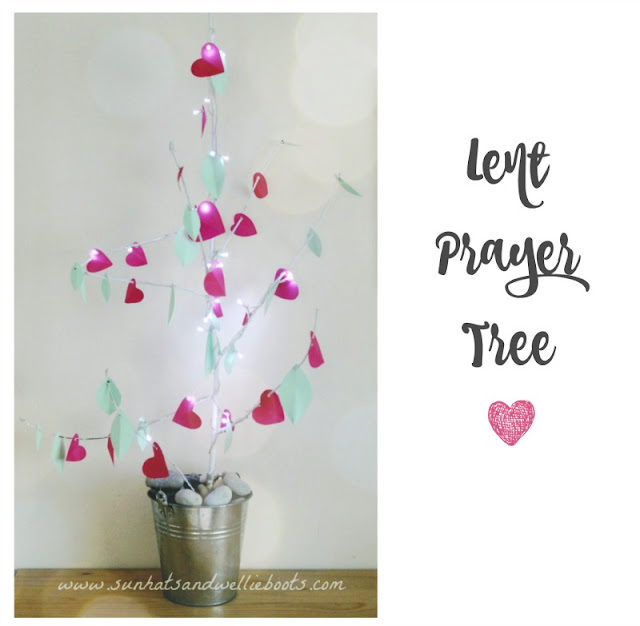 For some children the opportunity to explore prayer & express any questions or emotions surrounding faith can be limited, so having a prayer tree like this to explore especially in a school setting offers them space to engage, inquire & wonder. 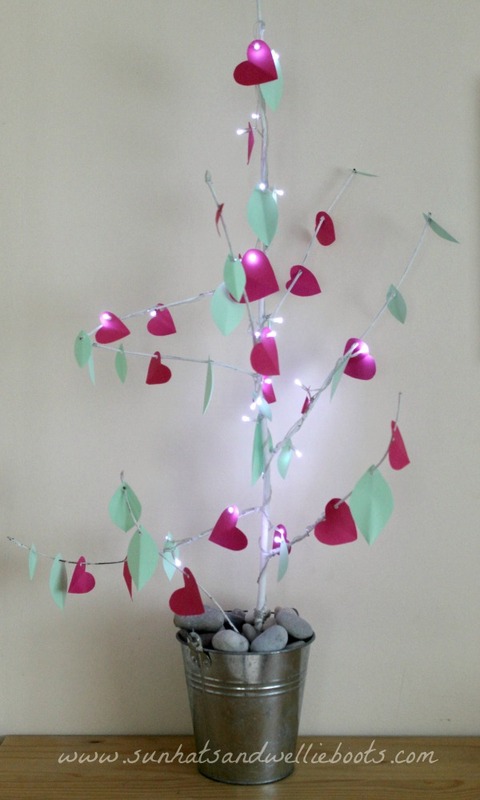 If you're intending to use a prayer tree in a school setting it can be useful for teaching staff to observe what has been shared on the tree, especially if there are reoccurring themes in the prayers. It should be made clear that the prayers are confidential, but frequent issues or concerns that are mentioned could perhaps be explored in circle time, obviously without mentioning children's names or personal situations. During Lent death is often mentioned & explored, whether it be referring to Jesus' death, or the death of a relative or pet, so it's always useful to have some resources to share together.